SAN ANTONIO--(BUSINESS WIRE)--May 8, 2018-- Abraxas Petroleum Corporation (NASDAQ:AXAS) today reported financial and operating results for the three months ended March 31, 2018. In Ward County, Texas, Abraxas is currently in the process of fracture stimulating the Company’s 660’ downspacing test at Caprito. The four-well downspacing test consists of two Wolfcamp A2 wells, the Caprito 99-301H and Caprito 99-311H, and two Wolfcamp A1 wells, the Caprito 99-202H and Caprito 99-211H. Abraxas experienced 7" casing integrity issues on the Caprito 99-301H and the 99-311H during the completion. The Caprito 99-301H was fully remediated and the completion of that well continues. The Caprito 99-311H will require minor remediation work following the completion of the other three wells. Abraxas plans to flow back three of the four wells while remediating the Caprito 99-311H. The Company plans to finish the completion of the Caprito 99-311H immediately following the remediation work. Henceforth, Abraxas will be utilizing tie-back strings during the completion to eliminate the risk of further 7" casing integrity issues. Abraxas does not anticipate that these issues or delays will have any material impact on Abraxas' guidance laid out below. Abraxas owns a 57.8% working interest in the Caprito 99-301H, Caprito 99-311H, Caprito 99-202H and Caprito 99-211H. Abraxas recently participated in two non-operated Wolfcamp wells with approximately 5,000' laterals on the Company’s newly acquired acreage in Winkler County, Texas. The wells averaged 1,110 Boepd (963 barrels of oil per day, 883 mcf of natural gas per day) (1) over their first 30 days of production. Abraxas owns a 30% working interest in each well. Abraxas is currently drilling two 5,000’ lateral wells, the Greasewood 201H and 301H. These wells are being drilled on Section 94, Block F, which is three sections north of the Company’s previous drilling activity in Ward County, Texas. The two-well pad consists of one Wolfcamp A1 well, the Greasewood 201H, and one Wolfcamp A2 well, the Greasewood 301H. Abraxas owns a 100% working interest in the Greasewood 201H and 301H. In McKenzie County, North Dakota, Abraxas expects to begin the fracture stimulation of the Yellowstone 5H-7H and the Lillibridge 9H-12H wells in May and June, respectively. Both pads are expected to begin flowback in July. Abraxas owns a 52% working interest in the Yellowstone 5H-7H and a 25-29% working interest in the Lillibridge 9H-12H. Production for the first quarter of 2018 averaged approximately 10,485 Boepd (6,715 barrels of oil per day, 13,180 mcf of natural gas per day, 1,573 barrels of NGL per day). 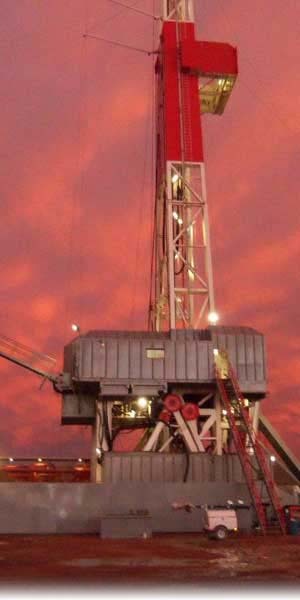 Abraxas did not complete or put any wells onto production during the quarter. Capital expenditures for the quarter of $31.4 million consisted of $17.1 million for drilling and completions and $14.3 million for acquisitions. Abraxas is providing the following second quarter 2018 production, operating cost and capital expenditure guidance. Abraxas brought down or plans to bring down several high rate producing wells in the Bakken and Delaware Basin for planned offsetting fracture stimulations. Abraxas anticipates first production volumes from the new well completions and a return of production from the shut-in wells late in the second quarter or early in the third quarter. Quarterly lease operating expense ("LOE") guidance is biased toward the high end of annual guidance due to the associated costs with frac protecting wells from offsetting fracture stimulations. Capital expenditures for the second quarter includes approximately $20 million for planned acquisitions. Production guidance for the year ending December 31, 2018 remains unchanged at 10,000-12,000 Boepd at a planned capital expenditure budget of $140 million. Bob Watson, President and CEO of Abraxas, commented, “Despite continued midstream curtailments for both oil and gas in the first quarter of 2018, we remained in the middle of our production guidance. We continue to benefit from strong underlying well performance with shallower than anticipated declines. In the second quarter, we brought down or plan to bring down numerous high rate offsetting producing wells as we undertake a busy completion schedule. The completion of these seven Bakken and four Delaware Basin wells will lead to a substantial ramp in volumes in the third quarter of 2018. Abraxas Petroleum Corporation (NASDAQ:AXAS) will host its first quarter 2018 earnings conference call at 11 AM ET on May 9, 2018. To participate in the conference call, please dial 844.347.1028 and enter the passcode 5599864. Additionally, a live listen only webcast of the conference call can be accessed under the investor relations section of the Abraxas website at www.abraxaspetroleum.com. A replay of the conference call will be available through June 6, 2018 by dialing 855.859.2056 and entering the passcode 5599864 or can be accessed under the investor relations section of the Abraxas website. Unrealized gains or losses on derivative contracts are based on mark-to-market valuations which are non-cash in nature and may fluctuate drastically from period to period. As commodity prices fluctuate, these derivative contracts are valued against current market prices at the end of each reporting period in accordance with Accounting Standards Codification 815: Derivatives and Hedging as amended and interpreted, which requires Abraxas to record a gain or loss based on the calculated value difference from the previous period-end valuation for open contracts. For example, NYMEX oil prices on March 31, 2017 were $50.60 per barrel compared to $64.94 on March 31, 2018; therefore, the mark-to-market valuation changed considerably from period to period.